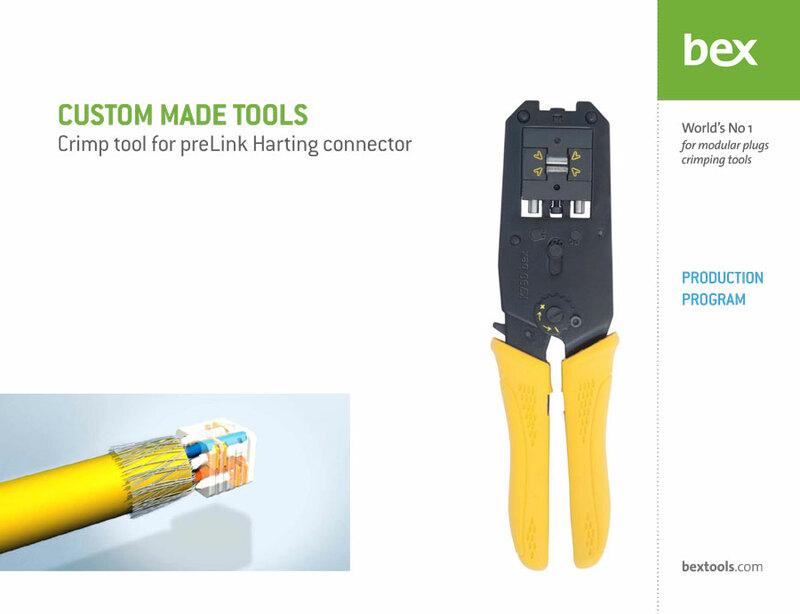 Bex supplies custom made tools for the world's leading connector manufacturers. All of Bex tools can be customized to meet specific customer’s needs. In some cases it can be just a matter of aesthetics but it does not necessary end with it. Any time a customer shows a need for a quite new type of products, that's when we at BEX differ from many of our competitors.We reply fast, and in cooperation with the customer find the best possible tooling solution. We can provide with custom markings on tools with your trade name, logo, part number, etc. Packaging of tools can also be arranged, we offer different types of packaging, from simple carton boxes to quality plastic cases with foam inserts. Shipping and transportation of tools - you can use your own shipper or we can suggest our solution, good and reliable companies that we closely work with. Conditions of sale - quantities, prices, times of delivery will also be arranged with you and can be sent to you upon your direct inquiry. Samples of every tool that we offer are available on request, you must simply ask for them and they will be sent to you - that way you can see for yourself if the tool is suitable for your application. Prototypes of a new tools are made in close cooperation with the client, internaly tested and provided to customer for evaluation.